Join BottleTaps in welcoming CaliCeltic for a great night of live music! CaliCeltic is Irish Pub Music for the San Francisco Bay Area. 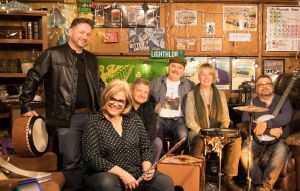 They perform a variety of songs from the Irish pub tradition while adding a California sound that is a nod to their local roots. Lively, fun, and upbeat, CaliCeltic is simply a good time!